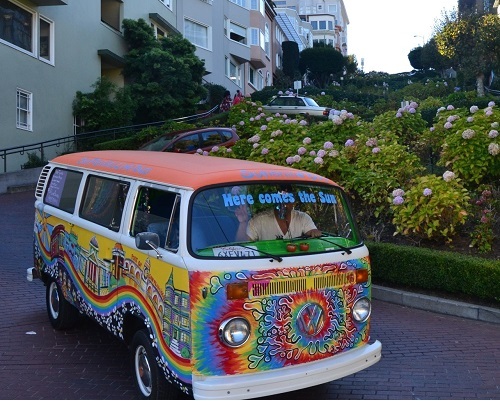 San Francisco Sightseeing Tours aims to provide an enthusiastic and authentic way to get-to-know San Francisco. Take a ride for an experience that mixes both our love for modern day living and our memories of San Francisco in days gone by. 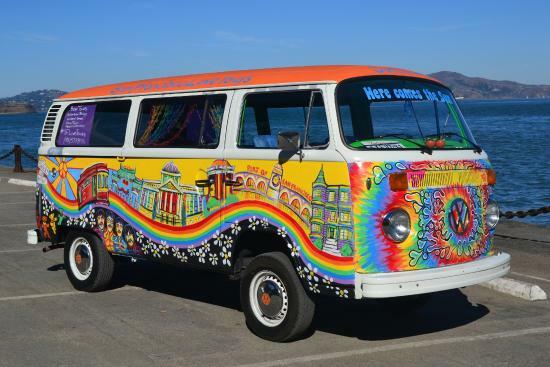 Our 1970’s Volkswagen Busses, complete with neon blue seats, beaded curtains and shag carpets, foster a Hippie vibe that celebrates Peace Love Freedom & Adventure. You will see breath-taking marvels such as the Golden Gate Bridge, Lombard Street, China Town, The Castro and so much more.